EGI have published a research story based on a paper by Denise Pumain that used compute resources of 10 federated data centres based in France and Greece. France Grilles organises a French speaking grid administrator tutorial in Paris. It will take place between 16-18 May and hosted by LPNHE. Online registration is available, before the 5th of May. Registration is free of charge but mandatory. 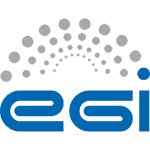 The EGI Conference 2017 will take place in Catania, Italy, between 9-12 May 2017. The EGI Conference 2017 will be held in partnership with the INDIGO Summit 2017 and both events are hosted by INFN-Catania. More information will be added to the events’ website over the next few weeks. Registration is scheduled to open at the end of January and a draft programme will be also online around the same time.